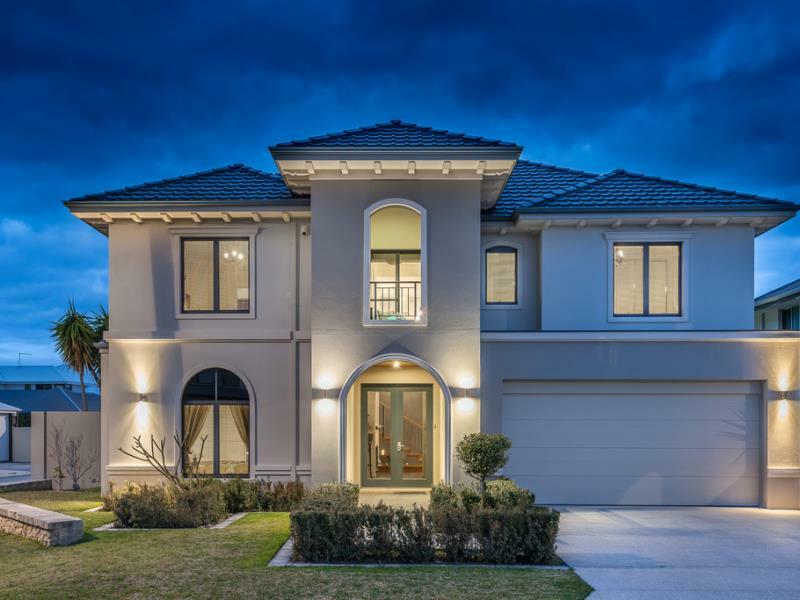 ***UNDER OFFER***UNDER OFFER***A luxurious coastal 2009 MBA Housing Excellence Awards Winner "Manor Home Builders" ex-display home, where no expense has been spared across two levels of opulent living with the bonus loft room as the cherry on top. 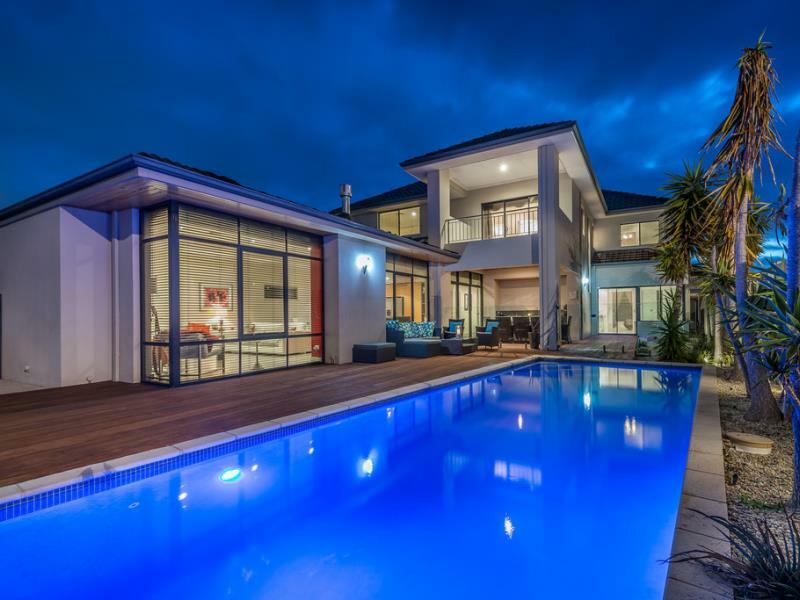 Located in a desirable street among premier Burns Beach residences, a mere 400m (approx.) from the beach. The exposed aggregate driveway accesses the double garage which has plenty of bench space or storage if you prefer. The perfectly manicured African Box shrub lined path leads to an imposing arch and into a cavernous portico through which lies the large double glass door entryway. 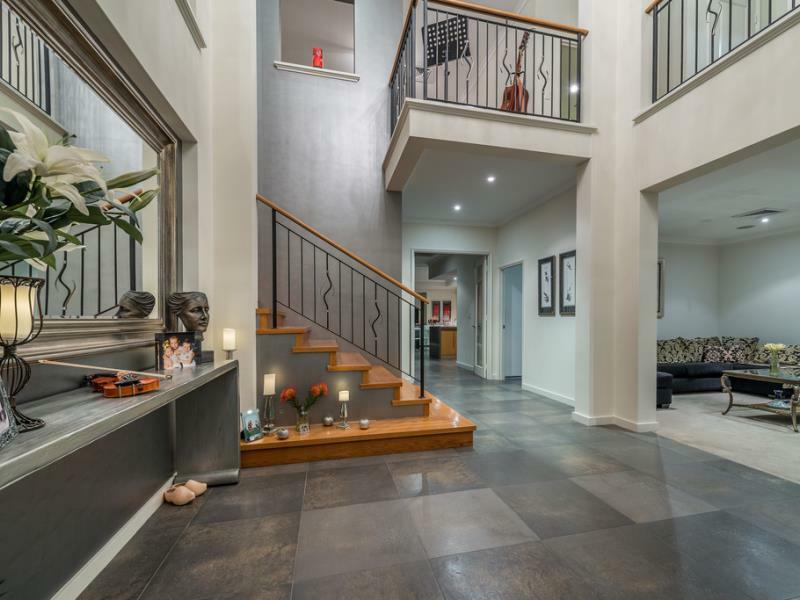 The immediate hallway beckons you into this splendiferous home with a shopper's entrance from the garage on your right and the plush, carpeted king size master suite on the left with an exquisite ensuite. The extra volume ceiling lends to the air of spaciousness, the room has his and hers walk-in mirrored robes with copious shelving and hanging space. The bathroom is beautifully styled with a large seamless glass shower, luxury spa bath, stone double vanity, plenty of drawer, cupboards and bench space, a separate toilet and very cleverly, direct swimming pool access from a sliding door out to the pretty courtyard and pool area. Leading from the initial hallway through to a voluminous grand vestibule with the solid timber double staircase, wrought iron balustrades with timber handrails and minstrel balconies from the upper level. An absolutely dazzling chandelier has pride of place overseeing the comings and goings of family life. The carpeted media room is opposite the staircase and it is perfectly spacious allowing for luxury seating to watch the latest releases in style. There are built in speakers and a connection point for a projector if preferred. The very generous laundry has plenty of cupboard space and access to the back courtyard. Across the way is the exceptional guest powder room, spacious and stylish making any guest feel pampered and welcome. Journeying through double glass French doors to the heart of the home you will find a classic modern kitchen, boasting sleek solid wood cabinetry with waterfall stone benchtops and stainless-steel appliances. The kitchen overlooks the dining area with an impressive vaulted ceiling. Ascending the beautiful staircase to the right is the open plan study with access to a large balcony overlooking the garden and sparkling pool. Along the hall, pull down stairs gives access to the huge airconditioned and carpeted loft room which has a multitude of uses. A pivoting roof skylight fills the space with lovely natural light and fresh air. Across the way is the family bathroom where only the best will do. Expense has not been spared. Next you will find 2 queen sized stylish bedrooms with triple built in robes and plush carpets lending to that sumptuous feel. An open plan sitting room or retreat area can be found with sliding door access to the front balcony. Then arriving full circle on the first floor is a third king sized bedroom with an ensuite, situated at the top of the opposing staircase. This deluxe room could also be the master suite leaving the downstairs bedroom for guests. •	4 enormous opulent bedrooms. •	3 luxury bathrooms (2 en-suite) and guest toilet. •	Separate reverse cycle air conditioning units for each floor. •	Existing projector point for easy connection in media room. •	Exquisite lighting with chandeliers scattered throughout. •	Beautiful stone like neutral tiling throughout the ground floor apart from carpeted media and bedrooms. •	Floor area approx. 447m2 excl. loft and incl. garage and balconies. •	Gas boosted solar hot water system also an additional gas hot water system.